Just when TVLA opened the doors of its brand new local, Ingrid Spee walked in with a project under the arm. She needed a fantastic website to get a better visibility in Google and to give the fair impression to their clients. 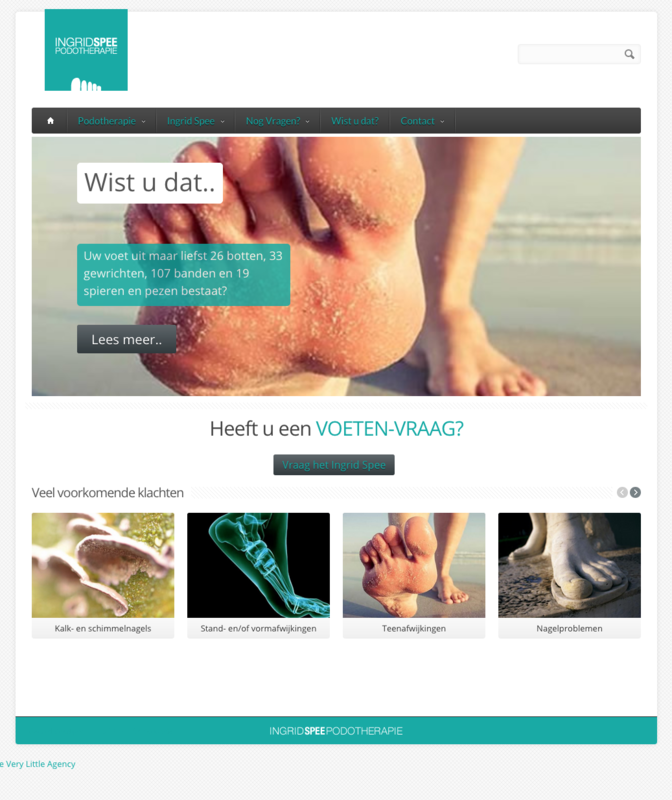 We worked together with her for some weeks until we came up with this nice responsive website, full of rigorous information (written by us too, BTW) about the services she delivers, and the problems her patients normally have.. a way to get found easily in google. Her site is the first natural (not paid) result in all relevant searches over her competitors who are now relegated to the end of the second page in google or end of the first one, always behind Ingrid Spee.